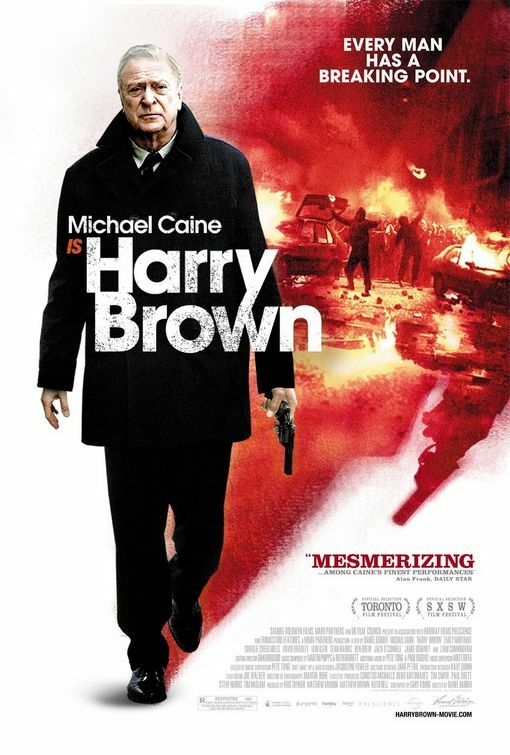 'Harry Brown' hits you hard. The violence that is, this is dark, gritty and more brutal than anything I've seen recently. It is one of those dark films that takes a peak into the underground crime world of England. The atmosphere is quite important here and besides this and Michael Caine nothing much else matters here. Director Barber creates a tone that is not only gritty in itself but it consumes every character in the film. It is truly insane how the gang members running around in this area are ruthless in their attacks on the innocent. It is as if they are doing it just to prove how awful they can make the world. This is one of my issues with the film though, whereas this provokes Harry to go on a mission to avenge his friend it also doesn't have enough substance behind it. That could sound bad, I'm not saying thugs killing random people isn't motivation enough to take matters into your own hands, but the film offers no cause for these low-lives to get themselves caught up in murdering the elderly except for the fact they are simply ignorant people. This should be enough, really, but in my perspective it made the entire film overall feel half-hearted. The plot is standard by the book revenge stuff we have seen plenty of times before, but as I said earlier it is the presence of Michael Caine that makes this more intriguing. Caine is a master at his craft and he takes this opportunity to showcase how he can turn even the most predictable of plots and stories into a character study with real gravitas.I don't usually find it necessary to break down my reasons for giving a particular movie a certain rating, but doing so here will better help you understand the real essence of the film, or at least I hope so. Within the rating system of five stars this receives a slightly above average three and a half. Why? I'm glad you asked, this is by no means a bad movie. Its style is one of its strongest elements and that alone garners a recommendation for at least renting it. Caine's performance should have a star all to itself, but I added an extra half on instead of another full simply because even though Mr. Brown is a good concept, the fact that the only difference between this and any other movie with the same story is the age of our protagonist. Which again goes back to Caine making this believable whereas with a lesser performer this may have come off as lazy and unbelievable. Never taking its opportunities to grapple with moral dilemmas or delve deeper into the reasons Harry Brown has become the person he is in the film take away some interesting aspects of an otherwise tired story, this is too bad for the production, they had the great Michael Caine on board and its almost as if they took it for granted and let the whole thing sail on his shoulders. Its effective, but not as compelling as it should be.